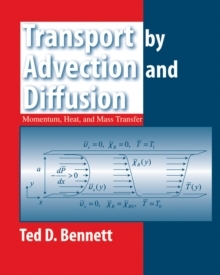 Bennett's Transport by Advection and Diffusion provides analytical and numerical tools to aid problem solving in every topic area of the text. These tools foster use of generalized methods in the exercises, and enrich understanding. The book helps to develop the math skills necessary to combine with the conceptual understanding needed to succeed in research and education. The text also improves upon an integrated approach to teaching transport phenomena, but widens this to include topics such as transport in compressible flows and in open channel flows.